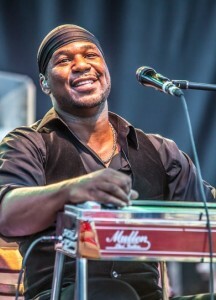 Posted in Uncategorized	| Comments Off on Welcome Home ROBERT RANDOLPH! 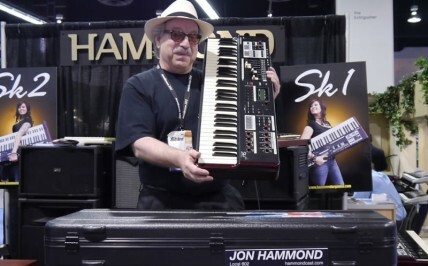 Hammond Organ’s ultra-light Sk Stage keyboards have become the instrument of choice for Professional and Casual players alike due to their combination of classic Hammond Organ tone, and comprehensive array of core keyboard voices preferred by players of every genre. These players have asked for an Orchestral String Library which can be loaded into the Sk’s exclusive Extravoice division, and their wishes are to be fulfilled. In total, 3 libraries will be issued, with the first 2 debuting on the Hammond USA website (www.hammondorganco.com) on December 8th. Available as a free download, the libraries can be easily installed into any “Sk” series keyboard using a simple USB “Jump” drive; and once installed, the voices become part of the static memory, ready to be used in presets alone or in combination with the Drawbar/Organ voices. The first release will comprise a string section played with “Arco” Bowing, giving a staccato attack, and another entitled “Classic Strings” which will be a softer, more legato voice with a slower attack. Variations will include enhanced stereo, mono and octave voicing. The second release will offer “Marcato” Bowing with a pointed attack, and “Pizzicato” (plucked string). As in the first release, enhanced stereo, mono and octave voicing variations will be featured. For both releases, Hammond’s innovative Prochord effect will be available in each instance, providing complex open and closed voicings based on the user’s chord structure. Single note melodies played on the upper manual (or upper side on a single manual Sk) will sound those voicings, with perfect enharmonic response. Lush scoring is a melody away. Michel will share his own Soul/Jazz journey to playing the legendary Hammond Organ. -How to set up your sound. -The Bass Pedal Technique in conjunction with the left hand – The Jimmy Smith/Jack McDuff legacy. -Accompaniment techniques for backing a Singer. -The close relationship between Organist and the Drummer. Michel will be joined by his wife Shem on vocals and Andrew Dickerson on Drum kit. The Hammond organ is one of a handful of keyboard instruments that never go out of style. Though some think it only makes “one sound,” that sound has countless different hues due to drawbar manipulation, organ/amplification pairings, Leslie type, microphone placement, age and integrity of parts, and a host of other factors. When you think about it, that so-called one-trick pony is pretty hard to tame. Well, Hammond has distilled all the things that go into making all those “one sounds” into a 16-pound keyboard that not only feels great, but also can sound like the Hammond part from any and every recording you ever loved. PROS: Killer organ sounds in a lightweight, ultra-compact, attractive package. Fantastic Leslie simulation. 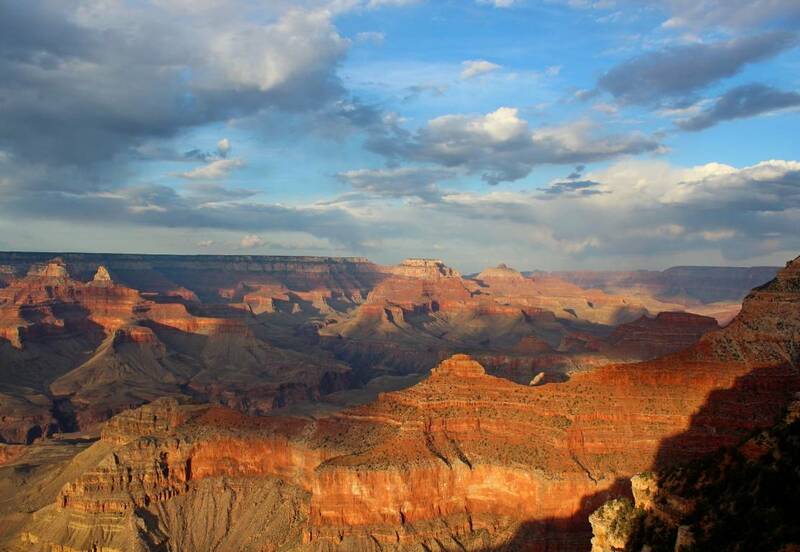 Deeply editable—no additional processing needed for realism or inspiration. Action feels great. CONS: Line lump power supply. Unlike SK series, has no dedicated effects button or reverb amount knob. Bottom Line: If you want no-compromise drawbar organ and Leslie sound—and nothing but—in a package small enough to take on public transit, your search is over. The XK-1C is an evolution of Hammond’s recent SK line, using the same engine, but eschewing the non-organ sounds. You’ll find no pianos, Clavs, or accordions—just tonewheel, transistor, and pipe organs. However, the XK-1C does those organs right. The SK1 was reviewed in November 2011, the SK2 in August 2012, and the SK1-73 in October 2013, so refer to those reviews (online at keyboardmag.com/february2014) for what’s familiar. Here, we’ll concentrate on new additions that are indigenous to the XK-1C. The control panel layout is very similar to the SK1, but has been condensed a bit now that the instrument is devoted solely to organ sounds. Besides eliminating the controls for the extra voices, Hammond has merged the patch selection buttons with the cursor buttons, resulting in a “telephone keypad” configuration—minus the bottom row where zero would be. This means that you now have only eight favorites buttons instead of ten, though you still can save many more programs into user memory. I tend to program a handful of main drawbar settings, and then use the rest of the favorites for storing different organ sounds that are based on the same registration, but with different Leslie simulation and tonewheel settings. You still get one set of drawbars, and their assignment to upper, lower, or pedal duty is done with dedicated buttons, which works great. As on other current Hammonds, long-pressing any button brings up the menu for the most relevant parameters (Leslie settings if you hold the slow/fast button, harmonic percussion if you hold any percussion button, and so on), which is nice and fast. I must say that the buttons feel firmer and more solidly anchored on the XK-1C than I remember on the original SK1. Reverb control has been reduced to an on/off button (there’s no amount knob) and the SK1’s non-reverb Effect knob and switch have been removed entirely, which I think is a mistake, although full control of the effect is still in the menus, and the entry state of reverb and other effects is saved with your preset. In trade, Hammond has instituted a couple of new features not present in the SK models. For instance, while the vibrato/chorus is basically the same, the XK-1C has a new parameter called Mix, which lets you continuously set the balance between a direct and chorused signals—even to the point of having one or the other only. Combined with the Emphasis control, which increases the bandwidth of frequencies to be chorused, you can go a long way towards capturing the subtle differences you’d encounter if you were to go to a vintage Hammond dealer and play five or six different B-3s and A-100s with the same drawbar settings. Awesome! Another new parameter, Color, is in the Leslie section. Through headphones, adjusting the “Color” amount sounds like you put the vent covers back on your Leslie, slightly dampening the sound. Through speakers, however, the effect is more dramatic and very useful. It tames the top end a little bit, adds a nice girth to the sound, and really feels like you’re hearing the resonance of the wooden Leslie cabinet itself. It took me years to wean myself off of using a real Leslie live, and it wasn’t until hosting Native Instruments B4 running on my Muse Receptor, which I then routed through a Ventilator rotary effect pedal, that I felt good enough about the sound to leave my Leslie at home. With the XK-1C, I can now leave the Ventilator at home. Between the Color knob, the internal 122 model (which sounds brighter than the 147—veteran Leslie users might expect the opposite) and my new favorite, the “right there in the room with you” model 31H with the lower rotor coasting at about 60 rpm, I now have more Leslie options than ever before. Add a little built-in tube overdrive simulation, and you have unlimited potential to grab that “one sound” from any recording or recollection you may have. The action is a joy to play. It’s lighter than my SK1-73, but not as hair-trigger as the XK-3C. It’s fast and begs you to skate up and down the keyboard, but doesn’t make you feel or sound sloppy. Last but not least, I’d be remiss if I didn’t comment on what an aesthetic upgrade Hammond has given the XK-1C. An organ should at least have some wood on it, and the wooden end caps are an elegant touch that helps the XK-1C not look small, which is a real feat on a keyboard this . . . small. In all aspects, Hammond has really stepped up their already impressive game with the XK-1C. I love it! 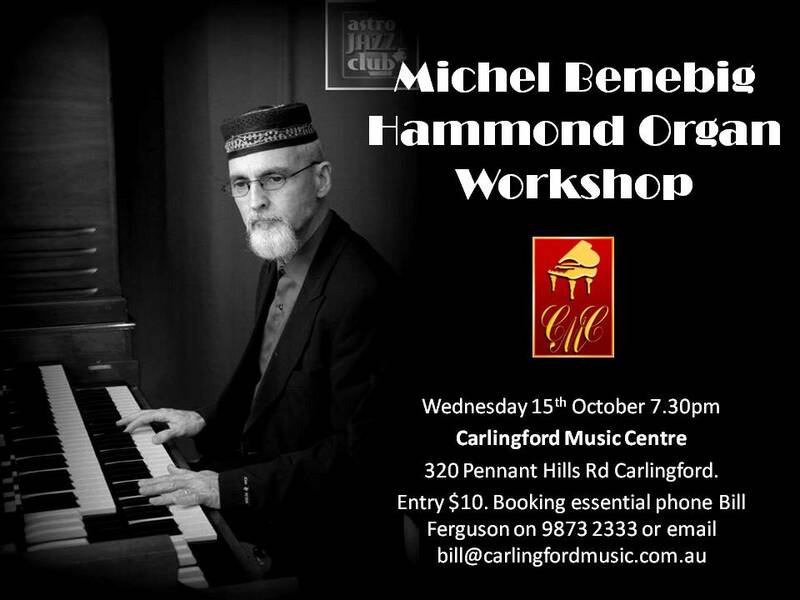 The staff of Carlingford Music Centre are very excited to be hosting Sydney’s first ever Hammond Organ Workshop featuring Jon Hammond (USA). Seats strictly limited $10 each. Jon began his musical career at age 12 in the San Francisco Bay Area playing organ and accordion in bands and solo engagements, first recording studio dates 1968 when he met Robert Moog who personally delivered the Moog III to San Francisco Radical Laboratories where Jon was working at the time and jamming daily with members of Quicksilver Messenger Service, he next joined original rock band Hades with which he played until moving East to attend Berklee. Playing 7 nights a week in Boston’s notorious Combat Zone next lead to touring with successful show band Easy Living and then became house organist at the exclusive Wychmere Harbor Club Cape Cod MA where he played private parties for Tip O’Neill Speaker of The House. Returning to SF for a reunion concert in 1980 with Eddie Money and members of Tower of Power, next Jon moved to Europe where he lived and played for a number of years, still playing annually where he has an enthusiastic following. Jon began hosting his own TV show “The Jon Hammond Show” in 1984 and is now in 27th year on cable TV in Manhattan and heard daily on KYOU Radio HammondCast Show with regular appearances at international trade shows.